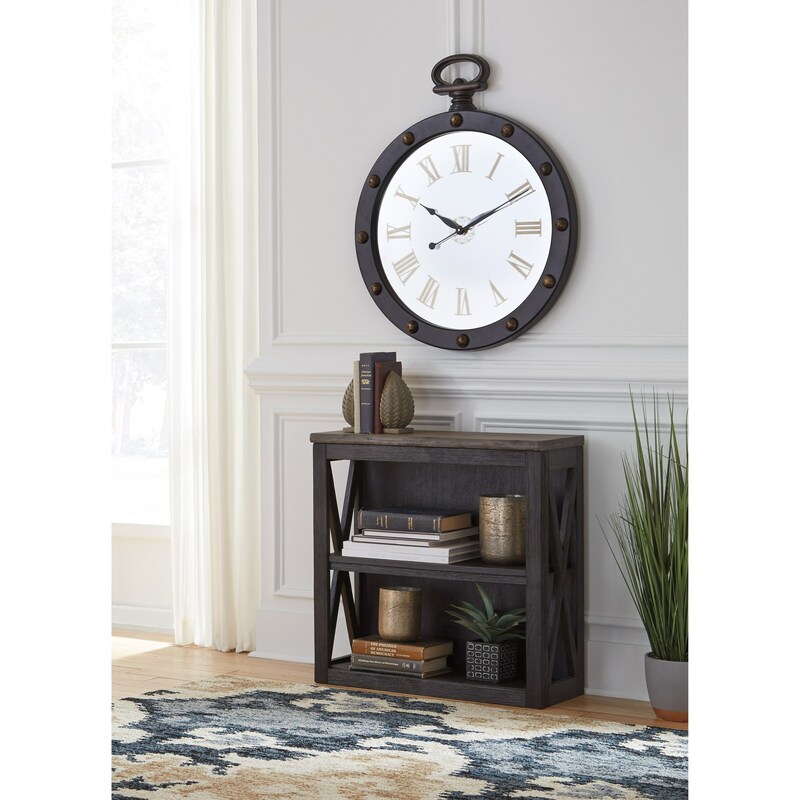 Height (bottom to top) 29"
With its gently distressed finish and weathered oak top that is enhanced with a plank-effect, this bookcase is brimming with stylish features that contribute to its charming character. Cross-buck detailing on the sides give this piece an irresistible cottage feel. 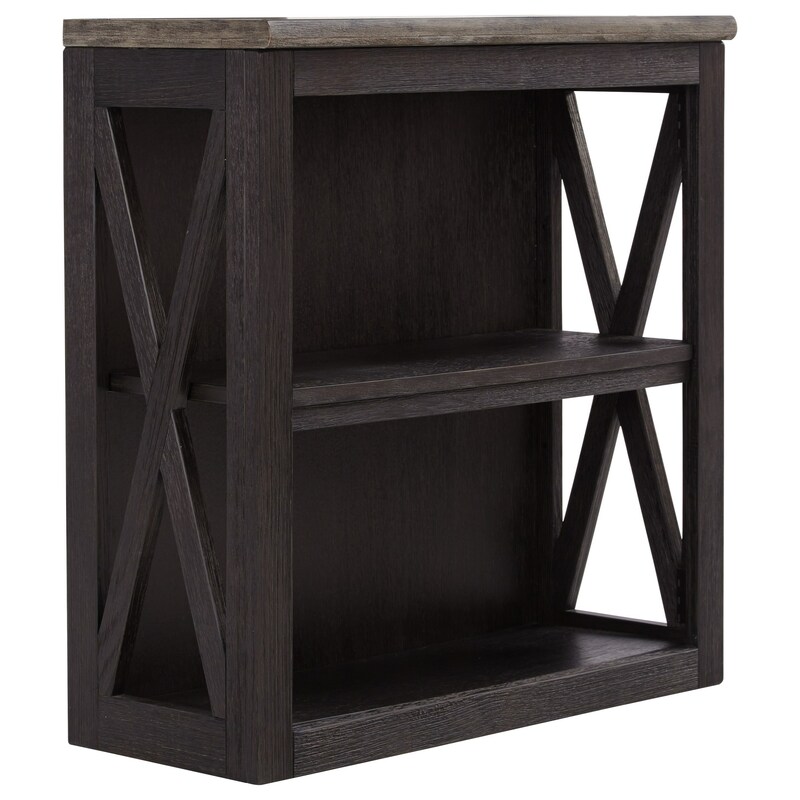 This smaller 2-level bookshelf can tuck under the accompanying desk return, perfect for offering essential storage without taking up too much of your work space.